This is a bit of a thought experiment, so it may be not entirely correct (especially the maths – my probability theory is very rusty). One of the lesser reasons for using the DNS rather than IP4 addresses is that typing mistakes are more easily caught – if you intend to type 192.168.67.52, but accidentally enter 192.168.67.53 instead, you still have a valid IPv4 address. Whereas entering the domain name wombar.example.com instead of wombat.example.com will most likely get you an error instead of sending your secrets off to an unknown location on your network – unless you have a rather silly server naming convention of course! But how likely are you to make a mistake typing in an IPv4 address? According to a random web site “out there”, the average accuracy of a typist is 92%, or an average of 8 typos per 100 characters. If we convert this into a probability, we get a probability of typing each character correctly as 0.92. So the probability of getting all those characters right is 0.999 (first character) x 0.999 (second character) … Or 0.999^15. And once you work that out, subtract it from 1 (to get the probability of making a mistake) and convert it into a percentage, there is an 11% chance of making a typo in an IPv4 address. For an IPv6 address such as 2001:db8:ca2c:dead:44f0:c3e9:28be:c903, which has 38 characters (no I’m not doing that silly table for IPv6) – 100 * (1 – 0.999 ^ 38) – 32%. Now whilst my calculations may be a bit off, the likelihood of entering an IPv6 address incorrectly is nearly three times higher than the risk of entering an IPv4 address incorrectly. In other words, with IPv6 you really need a good working DNS solution just to keep the errors to manageable levels. The above links to an interesting browser which allows zooming and selection of different data sets. It’s worth a look if you’re into that sort of thing. Although it’s rather surprising that it doesn’t like IPv6 addresses! The most controversial thing about this map of the Internet gathered during 2012, is that it was produced with the aid of a botnet or in other words this researcher stole the resources they needed. Which is obviously wrong – no matter how good the cause – but now that it has been done, there is no reason not to look at the results (whilst wrong this isn’t really evil). The first interesting discovery here is that this anonymous researcher managed to write a simple virus that would load the Internet scanner onto many devices with default passwords set – admin accounts with “admin” as the password, root accounts with “root” as the password, etc. You would have thought that such insecure devices would have been driven off the Internet by now, but it turns out not to be the case – there are at least 420,000 of them! You could even argue that the owners of such machines are asking to have their devices controlled by anyone who wants to. Perhaps a little extreme, but certainly some people think so or this Internet survey wouldn’t exist. But now the results. If you look at the default settings in the browser above, you will encounter large swathes of black squares where apparently nothing is in use. The trouble is that whilst it is true that an IP address that is pingable, or has ports open is “in use”, there is no guarantee that an IP address that is just registered in the DNS is in use or not, and finally unregistered IP addresses that do not appear to do anything may very well still be in use. Essentially the whole exercise hasn’t really said much about how much of the Internet address space is in use, although that is not to say that the results are not useful. One special point to make is that many of the large black squares that appear unused, are allocated to organisations that may very well want to have proper IP addresses that are not connected to the global Internet. That is not wrong in any way – before the wide spread adoption of NAT, it was common and indeed recommended that organisations obtain a public IP address before they were connected to the Internet to avoid duplicate network addresses appearing. And an organisation that legitimately obtained an old “class A” has no obligation to return the “unused” network addresses back to the unallocated pool. And even if they did, it would not make a big difference; we would still run out of addresses. 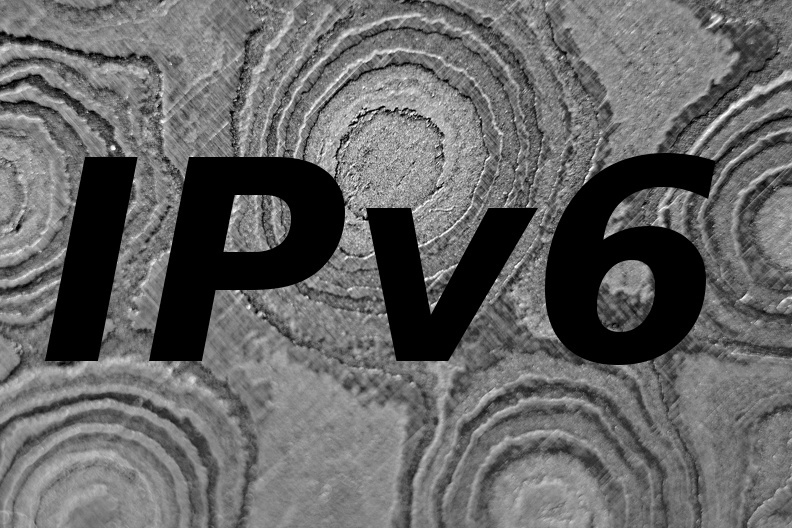 The answer to the shortage of IPv4 addresses is IPv6.